Prints fine, I made mine in PLA which I regret as may not be so useful for hotbed when printing in ABS. I'll probably reprint when my new roll of ABS arrives. Also not convinced the springs add anything so may remove them. 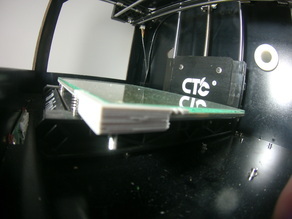 However a very useful part for adding glass to your print bed. Print bed needs to be level and spotless for the rafting to work properly.